Urban Dawgs - Red Bank Dog Training | Voted BEST DOG TRAINING in Monmouth County! Welcome to URBAN DAWGS - Red Bank Dog Training! 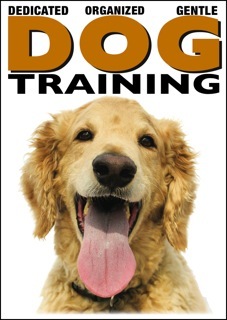 Voted "BEST Dog Training" in Central New Jersey! Whether you just brought home a new puppy, want to fine tune your dog’s training or have dog behavior problems that you want to change, we can help you accomplish your goals. Our highly effective, modern, science-based techniques are fun, dog-friendly and taught with an emphasis on trust and cooperation so you can truly be your dog's best friend. SUBSCRIBE TO US ON YOUTUBE FOR MORE GREAT DOG TRAINING AND BEHAVIOR VIDEOS! Our Certified Dog Training and Behavior Consultants are among the foremost dog behavior specialists in the country. Using modern, reward-based techniques, we will set you and your dog up for success. Our initial 2-hour consultation includes a comprehensive evaluation of your dog's behavior, hands-on instruction to improve human timing and mechanics, custom written training plan via email, unlimited email support for 30-days, packet of training handouts and the Urban Dawgs Training DVD, Dedicated Organized Gentle™. ©1998-2015 Urban Dawgs, LLC DBA Red Bank Dog Training. All rights reserved.